I can't hear you, I have a magtape in my ear. Now, the old Braun flash I remember fondly is the RL-515. This was the flash I learned to do bounce flash with (at the behest of the editor of Carleton’s Alumni Magazine, for whom I was the primary photographer at the time—Jane Kellogg maybe?). 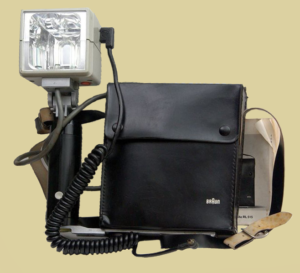 Powerful enough to bounce the flash off the ceiling in most institutional rooms and expose Plus-X (ASA 125) at f/5.6. Recycled in 1-2 seconds to full power. Being able to shoot the slower Plus-X rather than the grainier Tri-X, and being able to bounce (producing softer and more suitably located lighting) really set my pictures apart from others in the early 1970s. Fully manual, of course; it had two power settings, and two reflector positions (normal and wide), but after that you were on your own. To bounce, you estimated the distance the flash traveled, figured the aperture for that, then added some more exposure (generally 1-2 stops) to account for the reflectivity of the bounce surface and the diffusion of the beam. Then you made up for any miscalculations in the darkroom. I owned two of them at various times (the first perishing in a friend’s car fire!). 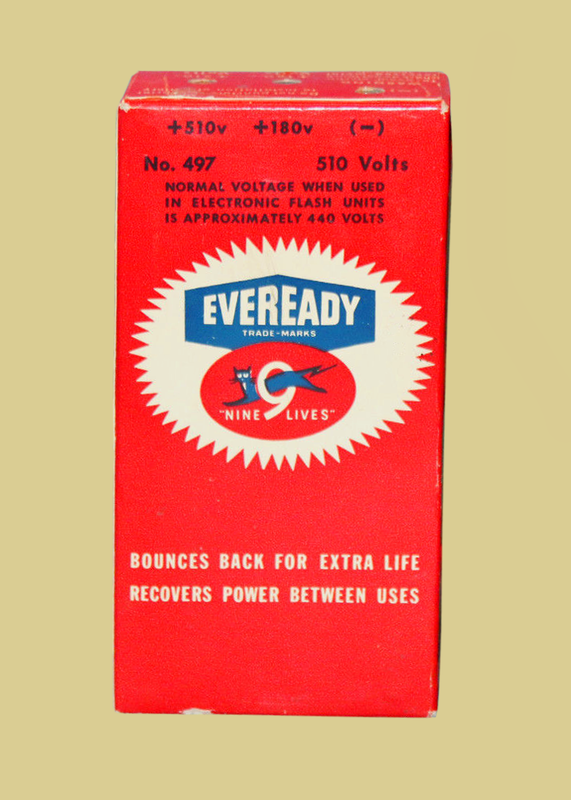 What that pack contained was a weird historical relic: a 510V primary dry-cell battery. 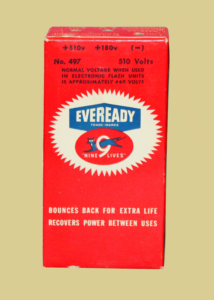 (Eveready 496, NEDA Listing 741)! Even in the mid 1970s they were expensive, I remember paying $35 (which was about what four 100-foot rolls of Plus-X cost, about 75 rolls of film). But that was the only flash I ever had with that speed of recycling, and I don’t think I’ve ever had a more powerful one either. My Sunpak 555 with Quantum Battery 2 was a better flash than this, because of the ability to work with OTF flash exposure control in modern cameras (I used it with Olympus OM-4Ts and many different Nikons). None of the others I owned even came close, especially the Honeywall Auto-Strobonar 892s.